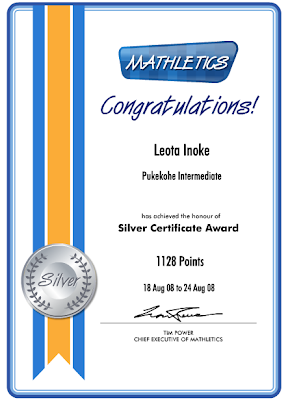 Room 23 are lucky to have mathletics. Room 23 have been working on Mathletics for 2 years. 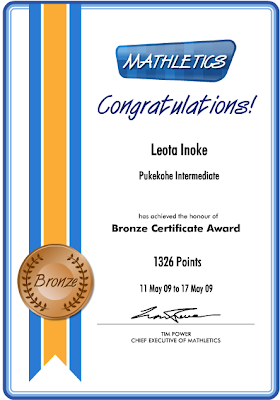 Mathletics has help me alot to improve on maths. Above, are some sliver and bronze certificates I recieved on Mathletics.